Other Dimensions: Seat depth measures 22 inches. Arm height to floor measures 24 inches. Floor clearance is 4.5 inches. Product Description Personal Standard. The Bailey Blue living room collection boasts furniture with reversible cushions that help to maintain design integrity, weathering day-to-day wear. Roll arms sustain a streamlined look and wedge feet keep the aesthetic right on trend. Choose from one of our many fine upholsteries to personalize it. An easy conversion from sofa to bed with innerspring mattress offers versatility for your living space, guest room or even a home office. 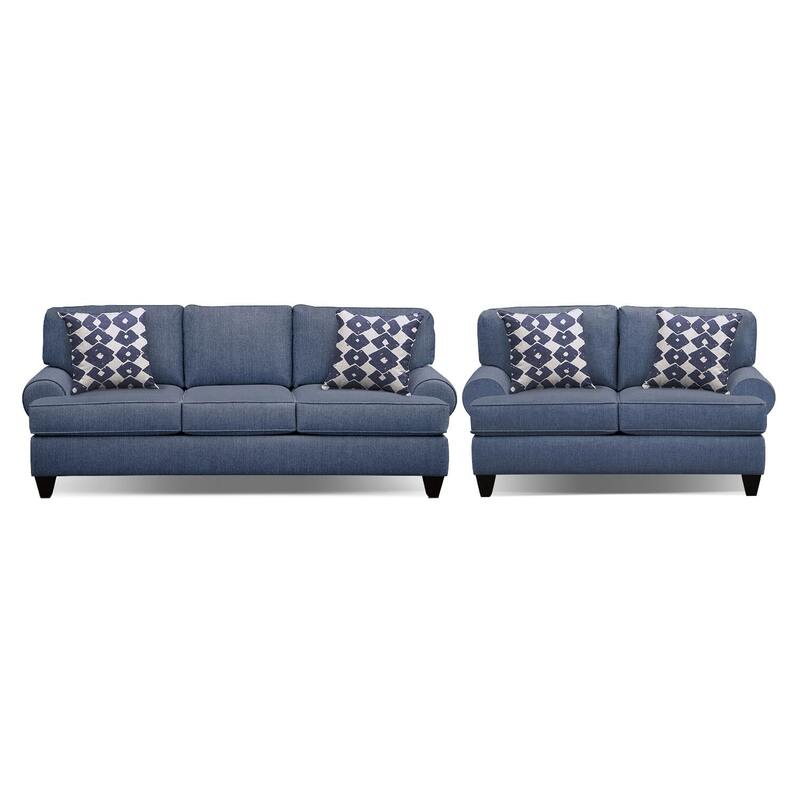 Two-piece package includes 91-inch innerspring sleeper sofa and 67-inch sofa, as shown. Available in multiple colors as a custom order.